oomph has a lot to celebrate. We have had a great year. We are FINALLY about to launch our new website after months in development! And to top it all off, we are about to open an office/showroom that is going to be great - when we finish all that painting. 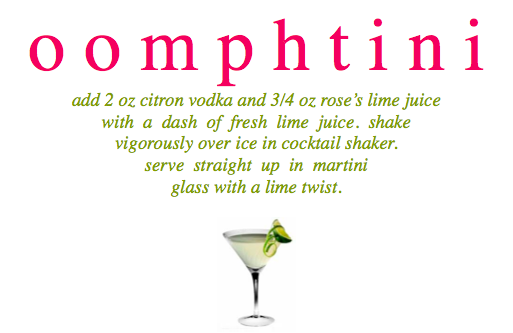 With all this celebrating, we have managed to perfect what we believe is the ultimate oomphtini. We experimented and had taste tests. Some of us even sacrificed ourselves to evenings of comparison tastings - a tough job but someone had to do it. After many, many recipes shaken to perfection, we selected our favorite. 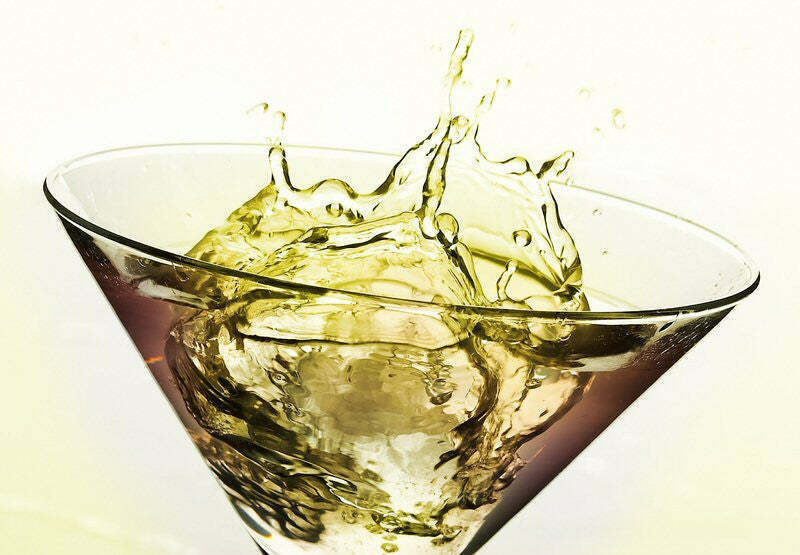 The oomphtini is not too sour, not too sweet - but like all things oomph - just right. We are so sure it is destined to become a classic, we printed it on our signature `tini card - also a classic. Shake one up and enjoy!